Two men who define the word original—Bill Cooper and Shonie Carter—are set to take the Fight To Win Pro stage this Saturday in Chicago. Cooper faces a Windy City all-star in Mark Vives. Creative, dangerous, unconventional: Bill Cooper’s approach to jiu-jitsu is as unique as it is effective. Eschewing the traditional positional hierarchy to hunt for subs from anywhere, Cooper excels at forcing his opponents out of their comfort zone and into his traps. 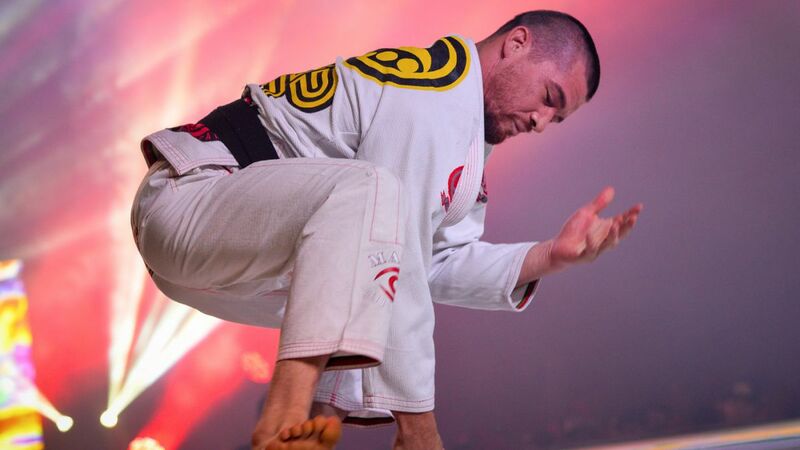 But he has no easy task ahead of him in this 170lb black belt gi match against Mark Vives. An F2W Pro veteran, Vives has a wicked armbar from closed guard and is one to stick with the fundamentals of the game. He's a finisher and relentless when he's in position to finish a match. At the 205lb black belt no-gi will fight F2W CEO Seth Daniels and MMA legend Shonie Carter! We’ve got no idea what to expect in this one, but seeing as Carter is a veteran of 20-plus years of MMA and grappling experience, as well as a legend of Chicago, we expect an entertaining show.